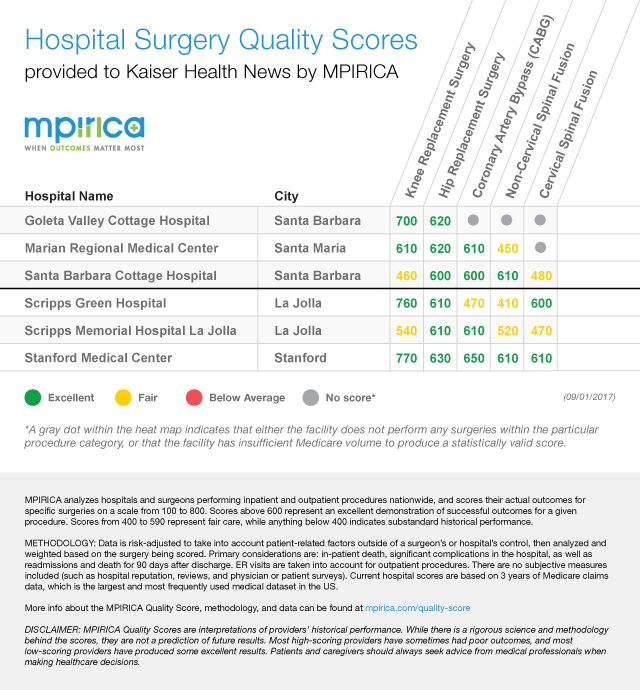 The graphic below shows hospital surgery quality scores for specific procedures and facilities requested by and reported on by Chad Terhune of Kaiser Health News. 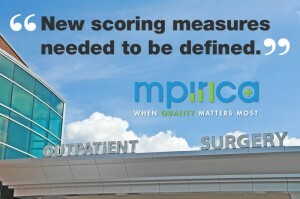 Find out more about the MPIRICA Quality Scores for surgeons and hospitals at https://www.mpirica.com/quality-score. 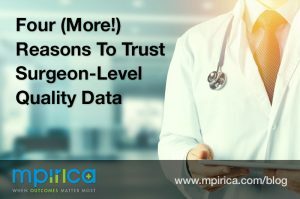 This week, we welcome guest blogger Dr. Donald Fry, an academic surgeon and healthcare quality expert, to address the complex problem of measuring complications and explain why prolonged risk-adjusted length of stay is one of the strongest indicators of quality. 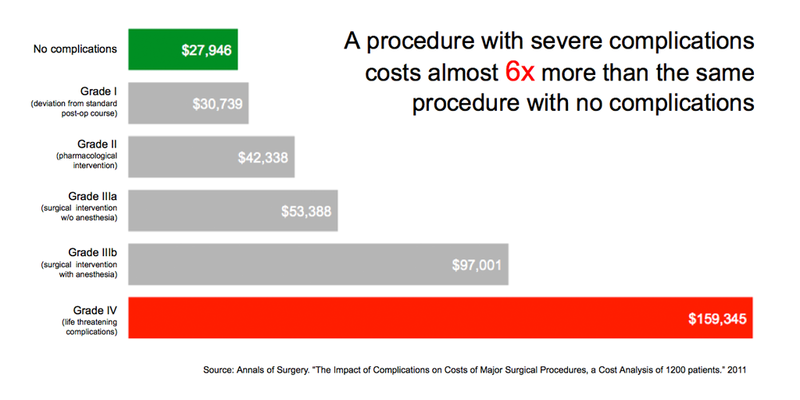 I have spent a great deal of my career over the last three decades looking at issues related to complication rates. 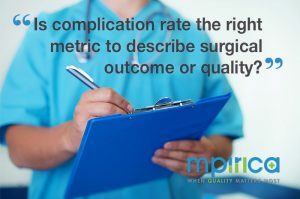 One thing that has become clear is that there’s nothing clear about calculating complication rates. 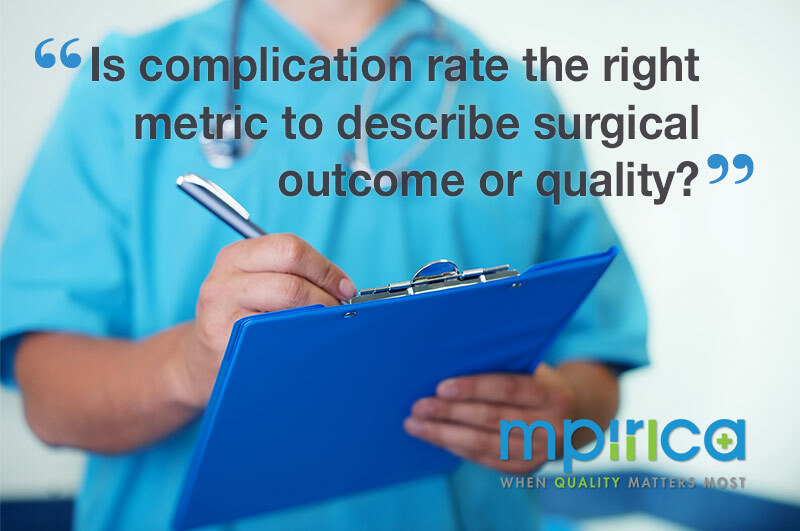 As an industry, we have been collectively looking at complications for almost as long as surgical procedures have been done, but the cruel reality in 2016 is that we still do not know the accurate estimate of complication rates in surgical care. How is this possible? 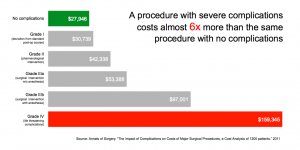 Does higher surgery volume = better quality? 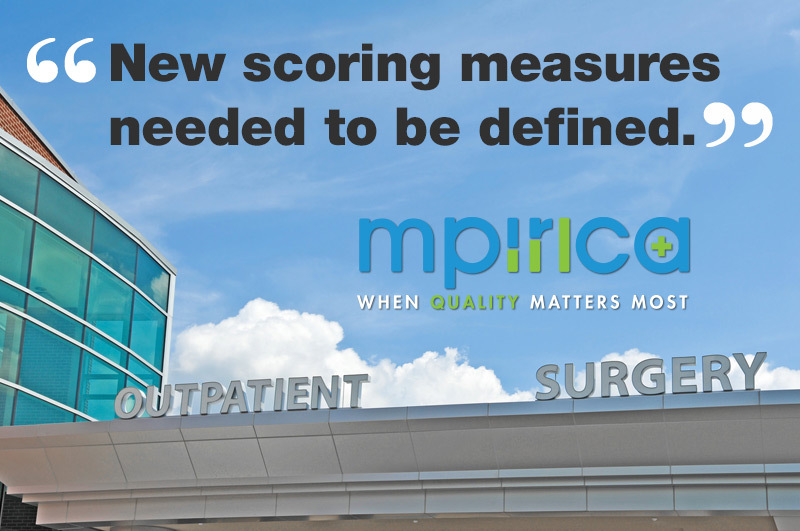 We’ve been getting quite a few questions about the role of volume in the MPIRICA Quality Score. Mostly people want to know whether volume is a good indicator for quality, and I thought we could address it with a quick blog. To give you a bit of context, there has been a lot of discussion since a “volume to outcome relationship” in healthcare was first reported over three decades ago by Luft, Bunker and Enthoven in the New England Journal of Medicine. 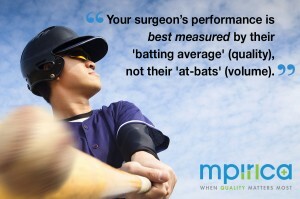 Today volume is generally considered the only factor that have any potential correlation to quality, so most people who are concerned with quality look at volume. If you answer Hospital A, you are not alone. 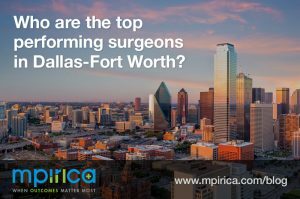 A random, not-remotely-statistically-significant, sampling of what many would consider “smart” people (mostly engineers and scientists) chose Hospital A 12 out of 15 times. 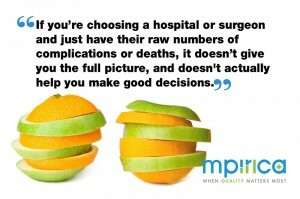 Seems logical to choose the hospital that killed the fewest people, but were they right? 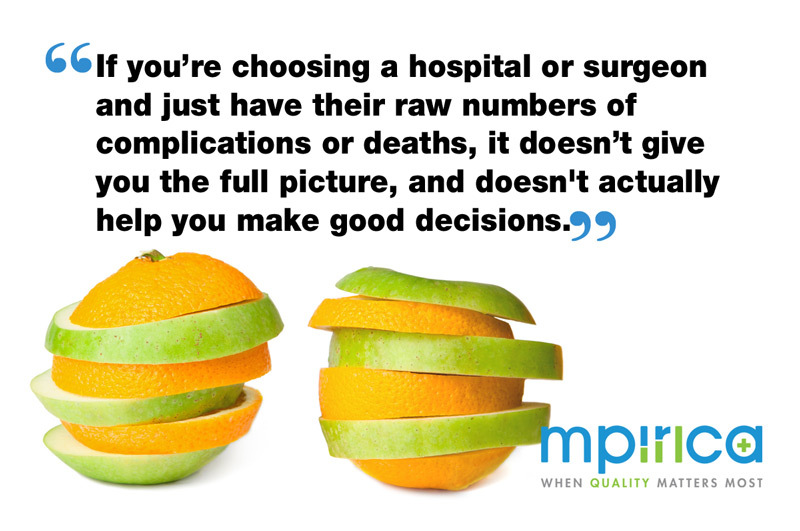 Making good health care decisions is something all of us struggle with. 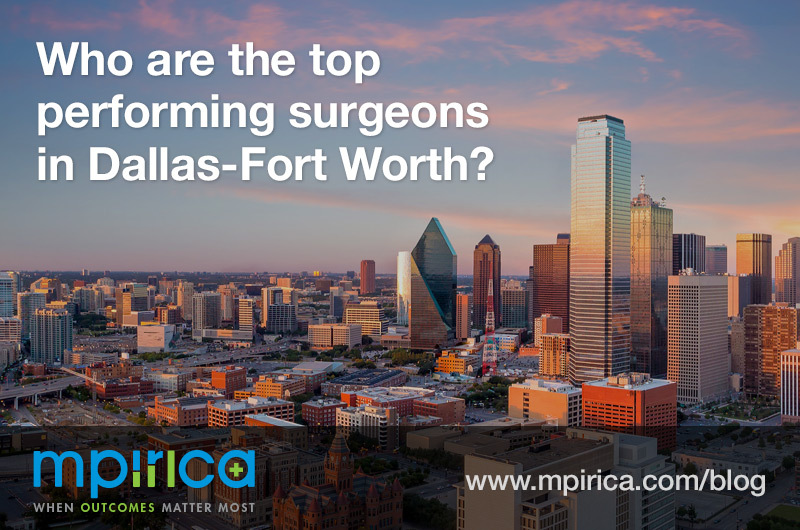 The question that matters most to healthcare consumers is simple: how do I get the best care possible?